If you’re like many people, you probably feel like your smartphone and other must-have tech gadgets have changed your life in positive ways. However, many experts say they also might reshape your personality in not-so-good ways by making you more impatient, prone to lazy thinking and less likely to have meaningful in-person relationships. Smartphones and products like them support our society’s growing expectation of instant gratification. Social media has made it so when you want to show off a stylish new haircut, you no longer have to wait until the next day when you’ll see coworkers or friends in person. Just post a pic of your new ‘do on social media and wait for the “likes”, “loves” and other positive reactions to come flowing in. Smartphones have also ended the need to wait for things that were not available in mere minutes during previous eras. For example, when planning to take a taxi on a busy Friday night a couple of years ago, you might know from experience if you’re trying to do so in a bustling area that’s filled with many other people who are trying to get home safely after their nights of fun, finding an available taxi might take 20 minutes or more. Now, when using technologies that work with your smartphone or tablet, such as Uber, it’s possible to see how close the nearest taxi is before booking it. In a well-serviced area, you might get a driver to take you where you need to go after waiting only two minutes. Some students also report that instead of waiting to get their exam grades back, they head straight for the internet, type in the questions that they can recall and frantically try to calculate whether they did well or poorly on a test. Previously, most of us would probably be accustomed to having to wait at least a few days to find out that all-important result, and might have even waited longer for a face-to-face meeting with the teacher. In a study carried out by psychologists from Temple University, the research showed people who were heavily attached to their smartphones were less able to control their impulses. That included delaying instant gratification in favor of rewards that would come later. The scientists also looked at the frequency with which people checked their phones. However, they were unable to conclude whether a person’s natural inability to control their impulses made them check their phone screens more often, or if it was the smartphone use that made the behavior worse. Researchers from the University of Waterloo also found that when people are already prone to lazy ways of thinking, using smartphones may worsen that characteristic. 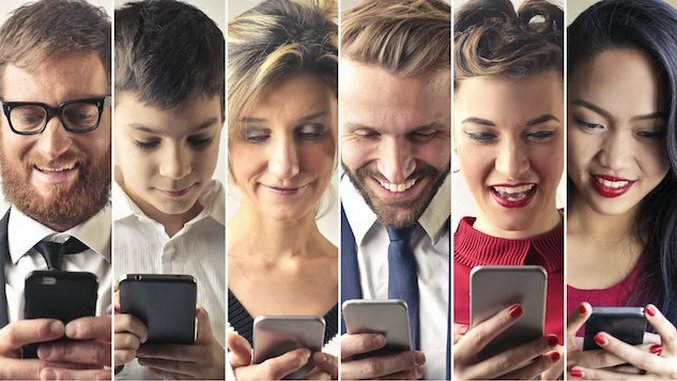 While studying 660 subjects, the scientists found that when people were more likely to use their smartphones for reasons that were not purely entertaining, they were also more likely to think in intuitive ways rather than analytical ones. Specifically, the more intuitive thinkers depended on their smartphones’ search engines to recall the name of the film they saw a couple of months ago or the kind of car their cousin purchased recently. Conversely, people who more actively engaged in analytical thinking preferred to use their own brainpower to come up with the information they couldn’t recall immediately. If you look at the Facebook profile of a person who has a friends list consisting of thousands of names and images, you might think that individual does a great job with interpersonal relationships, and particularly romantic ones. Recent research about college students in committed relationships tells a much different tale. Dependency on smartphones played a key role both in certainty about the relationship and satisfaction with a partner. Interestingly enough, the amount of usage did not factor in, but the level to which a person felt they could not go for even a short time without a smartphone did. Being addicted to life with smartphones made people less confident about their relationships and caused them to be less pleased with partners who couldn’t put their smartphones aside. In some cases, people thought that their partners being hooked on smartphones meant that their relationships were on the rocks. Although smartphones do make our lives more convenient in many ways, they might also reshape our personalities in ways that are not so attractive. What better reasons do you need than those above to power down and unplug for at least a few hours every day? Anum Yoon is Paste’s Unplugged columnist and a Philly-based blogger who founded Current On Currency.